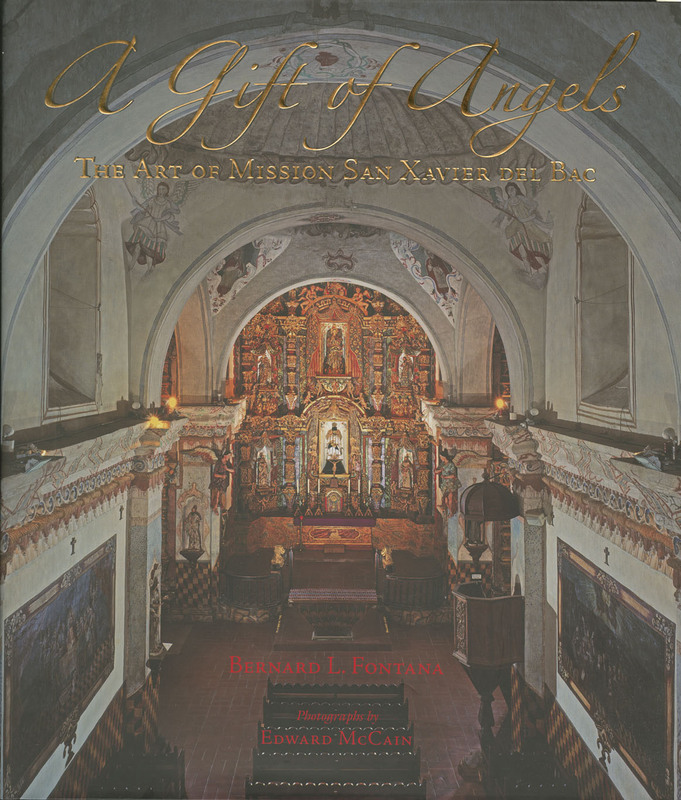 Fontana, Bernard L and McCain, Edward , “Gift of Angels: the Art of Mission San Xavier Del Bac ,” Arizona 100: Essential Books for the Centennial, accessed April 21, 2019, http://speccoll.library.arizona.edu/online-exhibits-dynamic/az100/items/show/253. 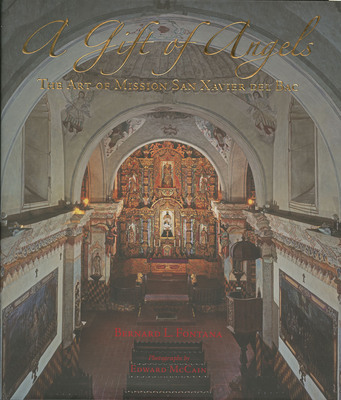 In an act of devotion and a defining work of scholarship, anthropologist Fontana indentifies and interprets nearly 200 saints and angels that ornament San Xavier del Bac, the mission church on the Tohono O’odham reservation southwest of Tucson. Establishing the provenance of these paintings and sculptures, Fontana charts how Christian dogma and religious art spread to the far reaches of the Spanish empire. Meticulous color photographs by McCain and stunning book design by Bill Benoit make this oversized volume a thing of beauty as well as a monumental study of Spanish colonial religious art and architecture. xiv, 351 p. : ill. (som col.) ; 37 cm.